Flip phones were once ‘the’ trend, and even though touchscreens took over the industry, their aesthetics are still very pleasing. While smartphone companies discover new developments of doing crazy things with a touchscreen, here’s one that continues to make very pretty looking flip phones. 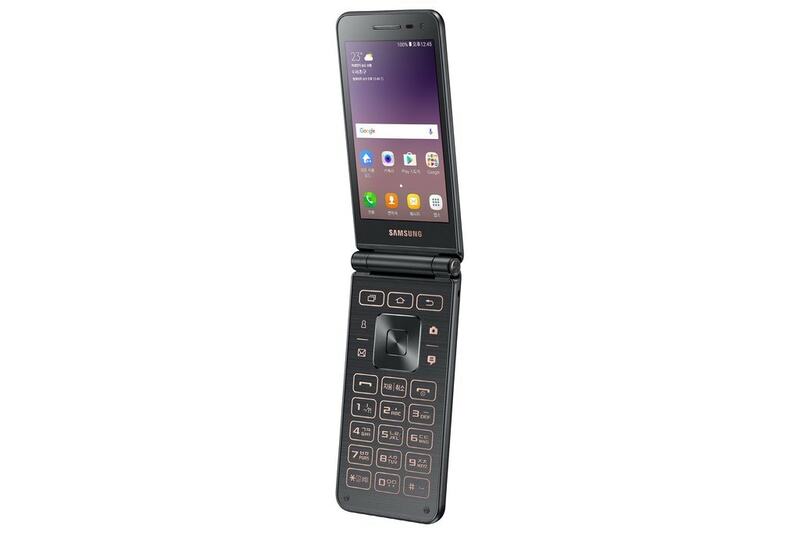 Samsung has launched its new flip phone called the Galaxy Folder 2, which it says carries ‘both charms of folder and smartphone’. Successor to the Galaxy Folder launched in 2013, the Galaxy Folder 2 was launched in its home country, South Korea, and is priced at 297,000 Won (Rs 16,900 approximately). The Galaxy Folder 2 was spotted on TENAA just yesterday with the same set of specifications and design as well. The Galaxy Folder 2 is available in two colors of black and burgundy. Samsung says that its new flip phone has a stylish, yet practical retro design. In comparison to its predecessor, the Galaxy Folder 2 features a keyless pad which is said to increase visibility and reduce typographical errors. There are separate keys for contact, text, and camera as well. 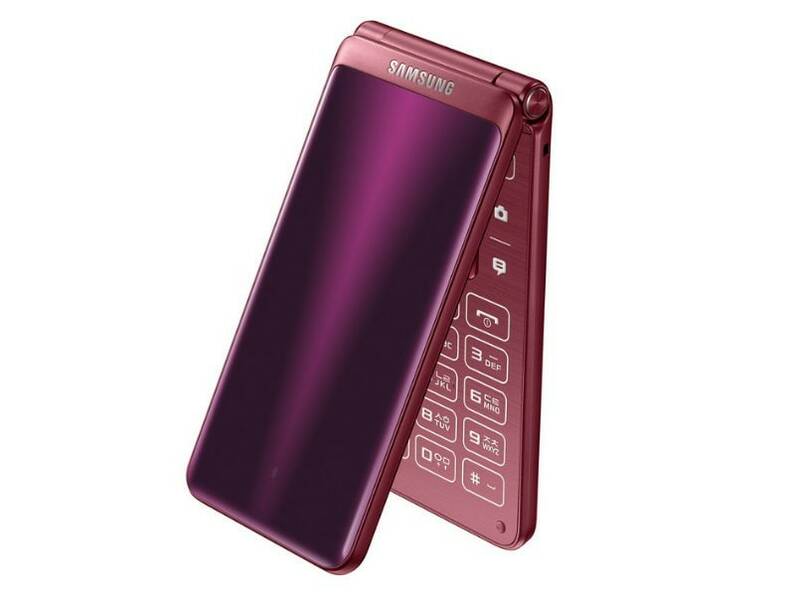 The burgundy variant of the Galaxy Folder 2 which in common eyes looks pink, has a somewhat of a Moto RAZR look to it. The black variant is very appealing too as it comes with gold outlines on its keypad. The Samsung Galaxy Folder 2 features a 3.8-inch LCD display offering resolution of 800×480 pixels. The Galaxy Folder 2 is powered by Qualcomm’s Snapdragon 452 quad-core processor clocked at 1.4GHz. In terms of memory, it comes with 2GB of RAM, and 16GB onboard storage, which is further expandable up to 256GB via a microSD card. In the photography department, the Galaxy Folder 2 sports an 8-megapixel rear camera, and a 5-megapixel front-facing camera. The Galaxy Folder 2 is fuelled by a 1,950mAh battery. On the software front, it runs on a dated Android 6.0 Marshmallow. The Galaxy Folder 2 will be available in two variants in terms of connectivity, with one supporting 4G LTE and the other just 3G. Some other features on the Galaxy Folder 2 include a dedicated ‘social app key’ which acts as a shortcut to apps like Kakao Talk and BAND. These are the popular social media apps in South Korea. There is an ‘Easy Mode’ feature available which allows one to check information on pedometer, flashlight, data usage and more on the home screen. Samsung has also added 15 special ringtones that are equipped with audio fitted for middle-aged people. There is no word on whether Samsung would launch its Galaxy Folder 2 globally, but considering its track record, it seems very unlikely.